A "tangible score" is a tactile interface for musical expression that incorporates a score into its physical shape, surface structure, or spatial configuration. With sound as a continuous input signal, both synthesis and control are available simultaneously through direct manipulation of the engraved patterns on the physical score. Every interface is conceived from a different graphical score. These tactile patterns suggest specific gestural behaviors due to the different affordances and constraints of the patterned object. Sound is generated through polyphonic concatenative synthesis driven by real-time analysis and classification of input-signal spectra. Tomás, E. and Kaltenbrunner, M. Tangible Scores: Shaping the inherent instrument score. Proc. 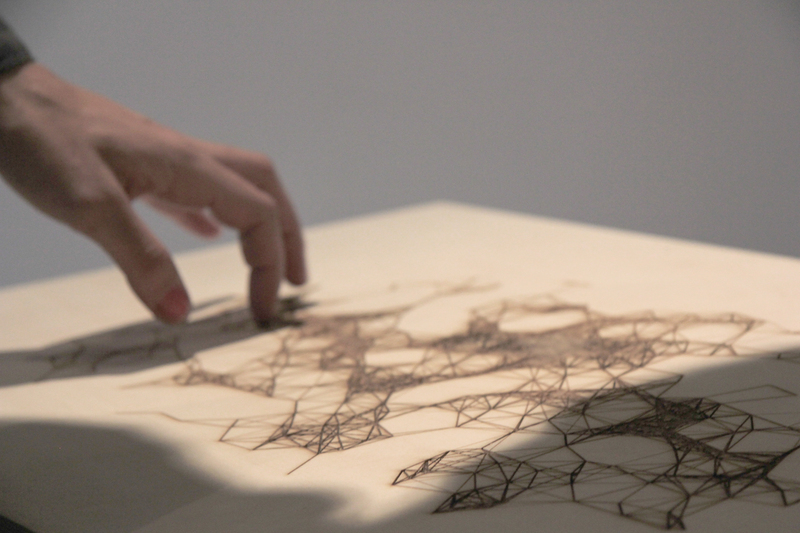 of NIME 2014, 609–614. E. Tomás. Tangible Scores Installation. Proc. of the 10th International Conference on Tangible, Embedded, and Embodied Interaction. ACM, New York, 2016.